There is nothing that I love more than simple ideas that can be executed on a budget! 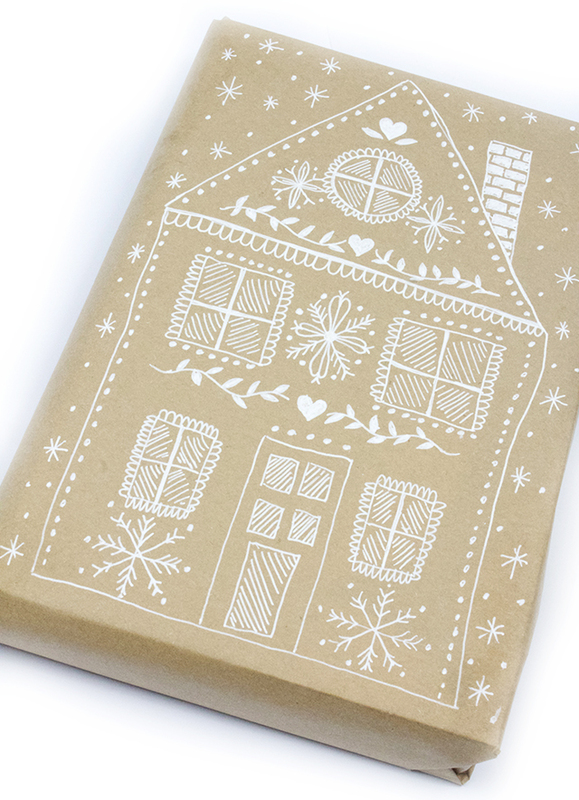 One of my favorite holiday tricks is to simply use a roll of brown paper, a white pen and a little creativity to make unique wrapping paper. 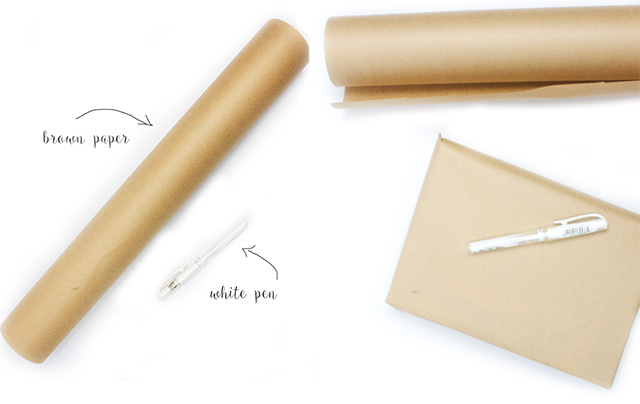 Brown paper can typically be found at the hardware store or home improvement store- a roll will coast around $5. There are all kinds of white pens out there by lately I am loving the Uni-Ball Signo Gel Pen. 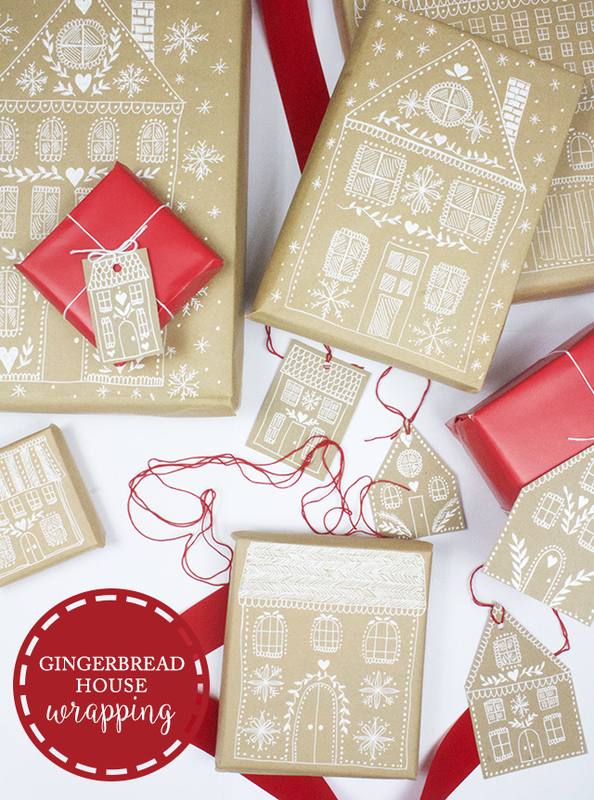 Start by wrapping your presents with brown. 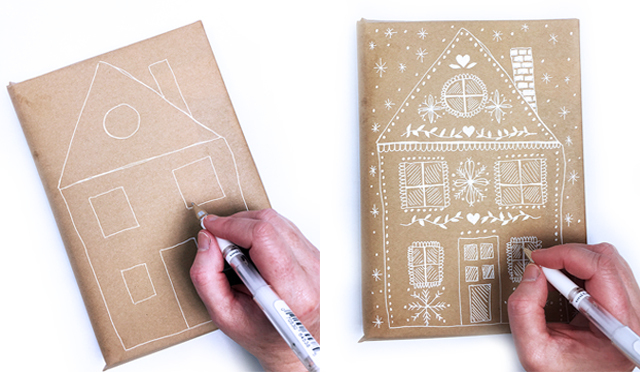 Then get creative adding simple, decorative and whimsical house drawings! 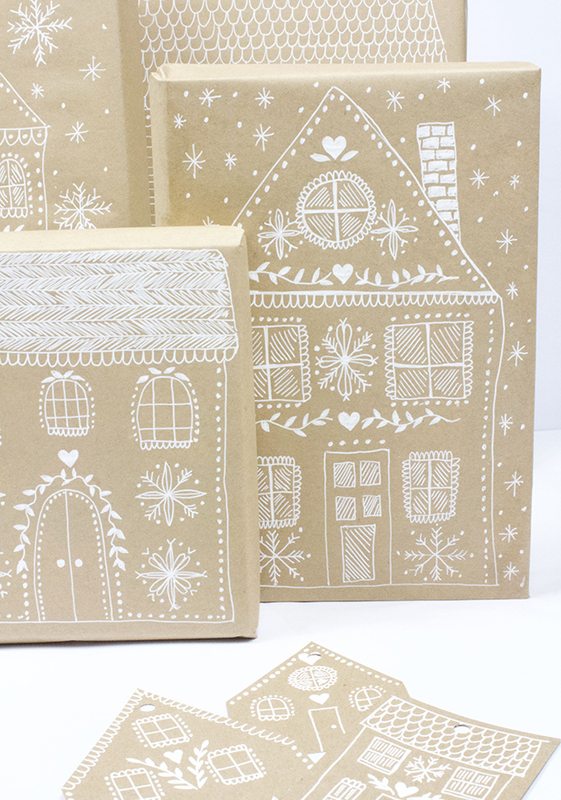 The result is pretty little packages that have the look and feel of gingerbread houses. 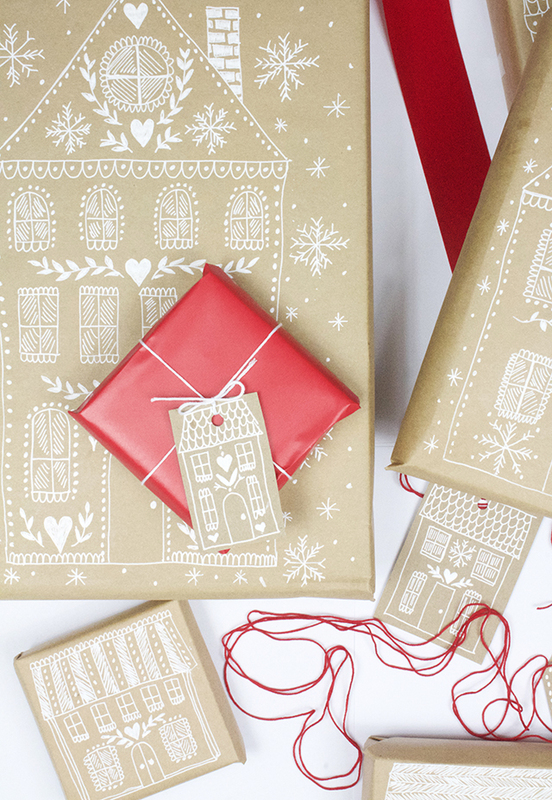 Looking for more holiday wrapping inspiration? I love your ideas! But I wouldn't open such a present from you, I'd keep it forever as it is! Have a happy holiday! What a fantastic idea! Thank you Alisa! 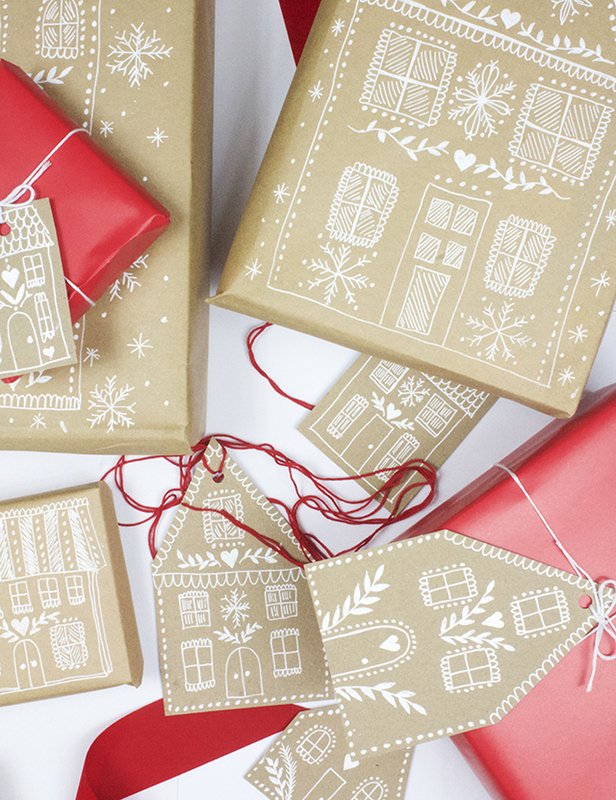 Wishing you a warm and joyful Christmas! I love this idea. It's adorable! WOW!! I am so obsessed with this idea it is so cute and creative!! 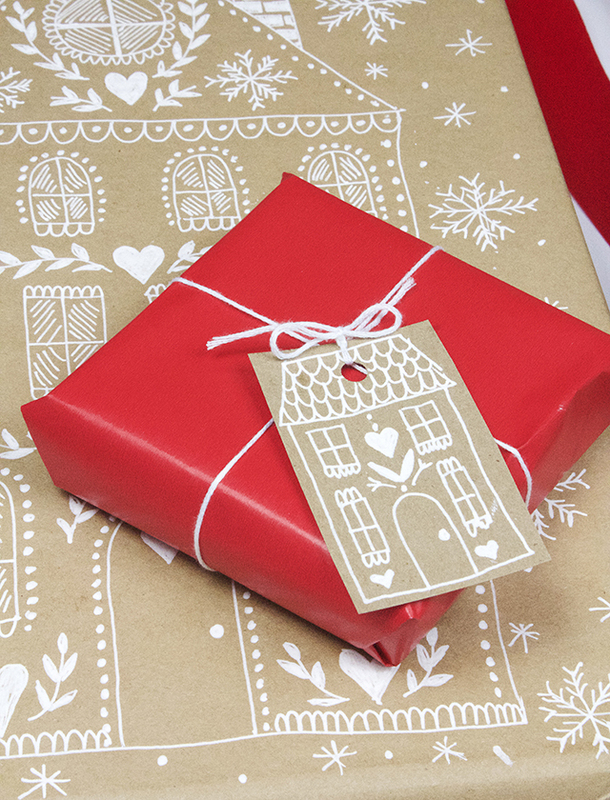 Its a gift wrapped up in a gift. Great job. NEW Petals & Paint Retreat Available! 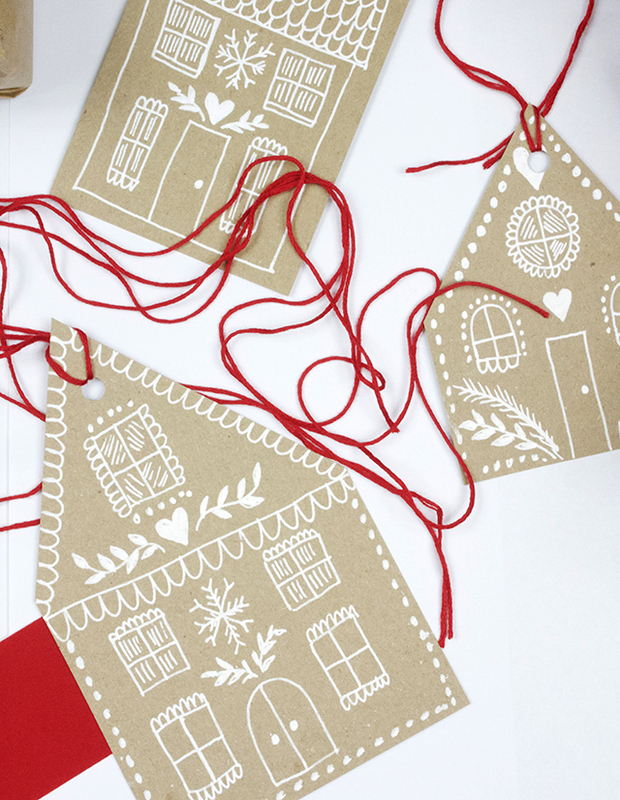 watercolor gift tags for you!